Fudge can be enjoyed any time of year. But it’s finally time to share some holiday sweets. If you’ve been waiting for the Christmas season to create a new candy recipe for your family and friends, I’ve got you covered. 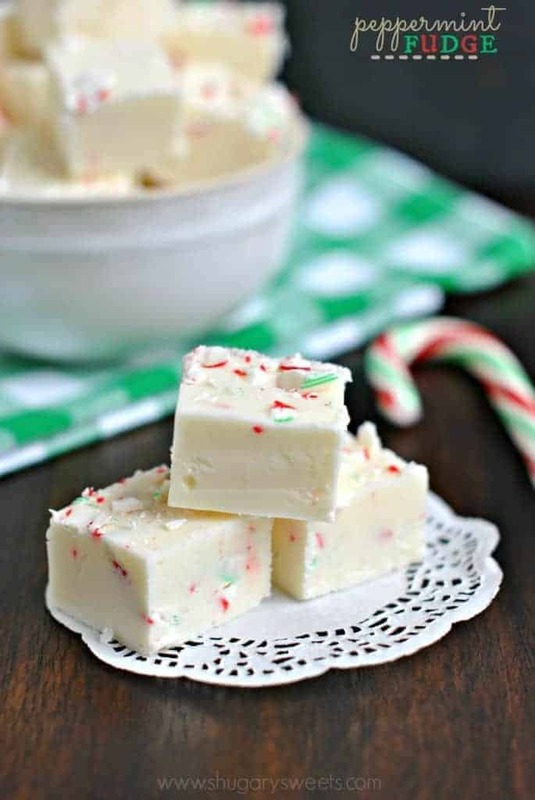 This Candy Cane Fudge recipe is not only minty and delicious, it’s gorgeous too! Create a unique gift for family and friends this year by making some fudge platters. I like to go to the dollar store and purchase holiday plates. Real plates, not plastic ones. You can usually find them this time of year, sold individually. Otherwise, go ahead and get whatever you like. 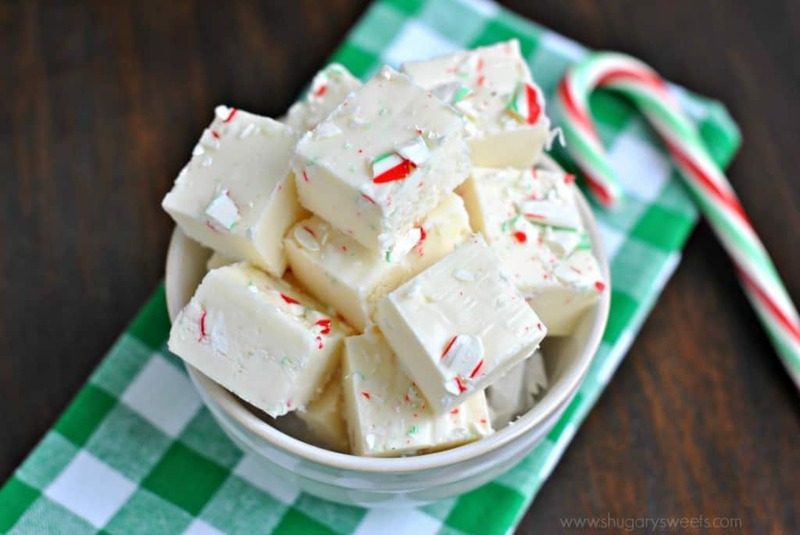 Or put this peppermint fudge in a beautiful holiday tin. It’s a real holiday treat! The nice thing about fudge is you can create it well ahead of time. Most of my recipes can be made about 2 weeks in advance and kept in the refrigerator (or room temperature) until ready to serve and enjoy. Today’s recipe however, is best served sooner. The only reason I say that is because the candy on top will become sticky, not crunchy. BUT, if you need to make it in advance, don’t sprinkle extra candy on the top, mix it all into the fudge completely. Then, if you REALLY want to garnish it, melt some vanilla candiquik (almond bark, or Ghirardelli vanilla wafers) right before plating your candy. Drizzle it over the individual pieces of fudge and sprinkle some extra crushed candy canes on top. It will take about 10 minutes to set up, and looks gorgeous! 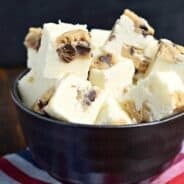 First, you’ll want to put your marshmallow cream, white chocolate chips, and vanilla extract in a large bowl (one attached to a stand mixer, or that you will use a hand mixer to blend). Set this aside for now. Prepare you 8-inch square baking pan by lining it with aluminum foil or parchment paper. Set aside. 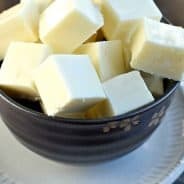 Start preparing your fudge by adding sugar, heavy whipping cream, unsalted butter, and salt to a large saucepan. Over medium high heat, bring this to a boil, stirring constantly. Once boiling (at a rolling boil pace), continue stirring and boiling for a full 5 minutes. Remove from heat. Pour hot mixture into your prepared bowl with the marshmallow and white chocolate mixture. Blend with a mixer for about 1 minutes, until all the white chocolate morsels have melted. Stir until smooth. Fold in chopped candy canes (or peppermint candies). Save some of the chopped candy for garnish. Immediately pour your fudge mixture into your prepared baking pan and sprinkle with extra crushed candy. Allow to set about 4 hours. Do not refrigerate. Cut into small pieces and enjoy. Store in air tight container at room temperature. 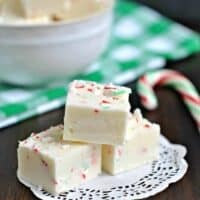 There are so many delicious peppermint fudge recipes, some of which you’ll find that use vanilla chips, sweetened condensed milk, food coloring, and peppermint extract. While it’s an easy recipe, this creates an extremely soft fudge. Personally, I prefer the taste and texture of today’s recipe. It may take a little extra time, but I promise it will be worth it! 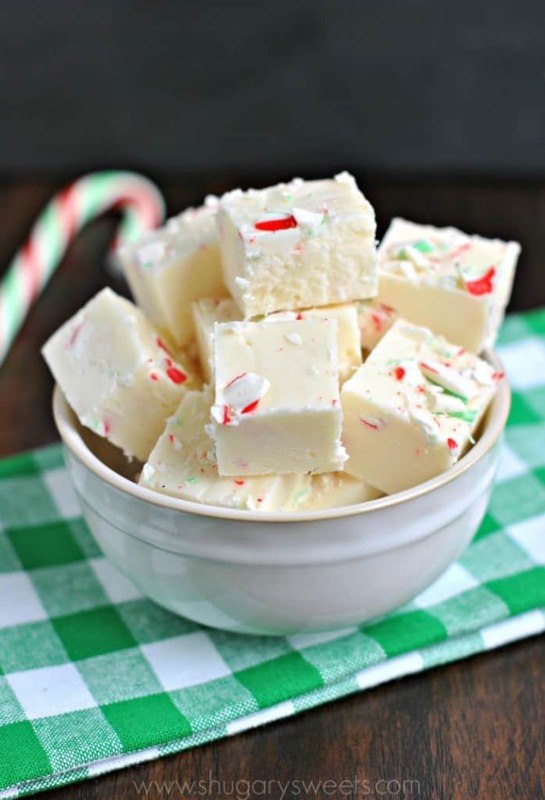 Now that you have some ideas, I think today’s peppermint fudge would make a great gift for teachers too! You can put some pieces of fudge in a LARGE Mason Jar. Add a lid and some ribbon. Don’t forget a cute tag and voila…gift complete! I’m all about edible gifts in mason jars!! This Peppermint Pretzel candy is the perfect addition to those candy platters and mason jars. Easy enough for the kids to help make too! Finally, if you LOVE peppermint, this Chocolate Candy Cane Cake is a crowd pleaser. Perfect addition to your holiday menu! In a large saucepan, combine sugar, cream, butter, and salt. Heat over medium high heat and bring to a boil, stirring continuously. In a large mixing bowl, add marshmallow cream, white chocolate chips, and vanilla extract. Pour hot butter mixture over, and turn mixer on low. Blend for 1-2 minutes, until white chocolate morsels have melted, and mixture is smooth. Fold in chopped candy (reserve about 1 Tbsp of candy to sprinkle over top). Pour into an 8-inch square baking dish, lined with parchment paper. Sprinkle with remaining candy. Allow to set, about 4 hours at room temperature. Do not refrigerate. Love how this fudge just screams holiday at me in the most delicious way! You are the fudge queen, Aimee! We are making all our chrismtas gifts this year, and fudge is one of them. So far we have vanilla and chocolate, but this is such a good idea! I love fudge especially around the holidays! Peanut Butter FTW, however, I might have to add another one to the repertoire! They look so yummy! Another gorgeous fudge recipe. Candy cane fudge is the best! I can’t wait to add this fudge to my Christmas packages this year! Pinning. omigosh this fudge would make SUCH fab holiday gifts! This is seriously some good looking fudge! I wish I could eat it al for lunch 🙂 Pinned! This looks so good. Thanks for having a Fudge that isn’t Chocolate or Peanut Butter, for (us) weird people who don’t like it or are allergic like me. P.S. You make the most gorgeous cakes! Delicious! I LOVE this festive fudge! This is seriously the cutest!! Fudge would never last 2 weeks in our house… We’re a family of sweet teeth, and holiday treats are the best! 🙂 Pinned! I want to eat my weight in this snowy-hued delight! Can you substitute marshmallows for marshmallow cream? what is marshmallow cream? Can one substitute marshmallow cream with melted marshmallows? I love that this is so easy to make but looks adorable for the holidays! A must for any cookie / sweets plate that goes out this holiday! What a pretty festive treat perfect for my cookie exchange (that is if we don’t eat it first). Drooling!! Fudge is my favorite!! 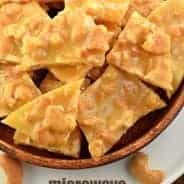 This is hands down my favorite fudge to make for the holidays! It’s absolutely delicious! This fudge is a favorite around here! So easy and delicious! Now this is a holiday fudge! So pretty and festive! We love making this fudge for Christmas gifts and to bring along to our gatherings. Everyone eats it up!